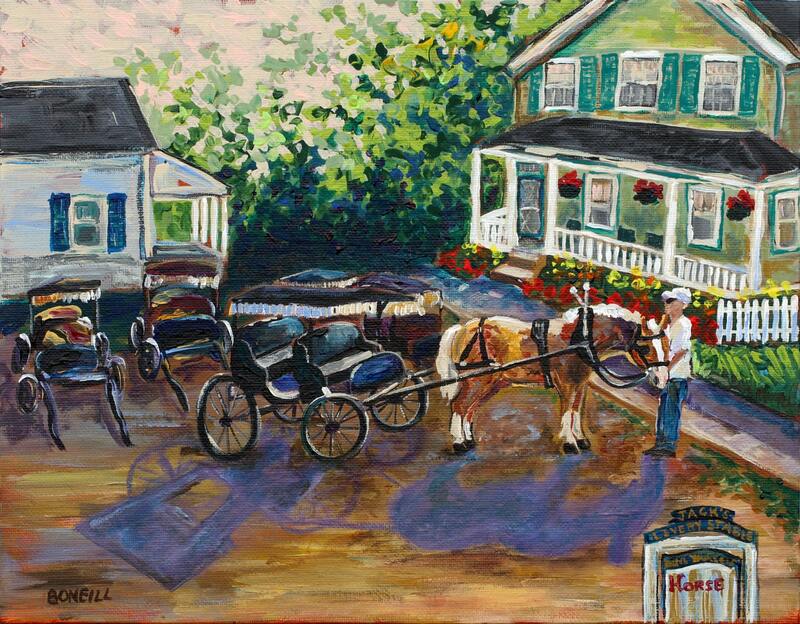 This beautiful print depicts the morning we hitched up "Shorty" for a drive around Mackinac Island. The views of aqua water, wild flowers, and Victorian cottages were made complete only with the "clop, clop" of horse's hooves. Accessible only by ferry, the magical island of Mackinac hosts 500 horses! It is one of the few places you can rent your own buggy!